Even though I've been doing centers for a few years, I am still learning how most effectively to run a centers lesson in my music room. 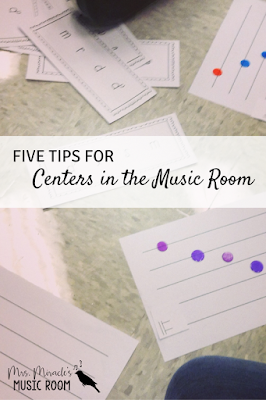 I've written a few blog posts about centers, which you can read here, but thought I'd offer five tips for doing centers in your music classroom. I knew they both involved being able to hear...but then I planned them to be next each other. I know, I know, it's silly that I would do that! But planning was tight and I was distracted and I just wasn't thinking. About one minute into the first center, as I sat at the solfa manipulatives center assessing students, I realized my mistake! I did a couple things to help. 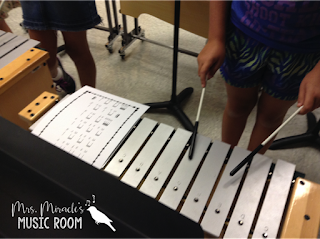 First, I had my students at the instruments flip their mallets around into what I call "practice mode." Then, during the next lesson, I moved the solfa manipulatives center. Students could hear so much better! Consider the amount of concentration students will have to have, and how noise will affect that. 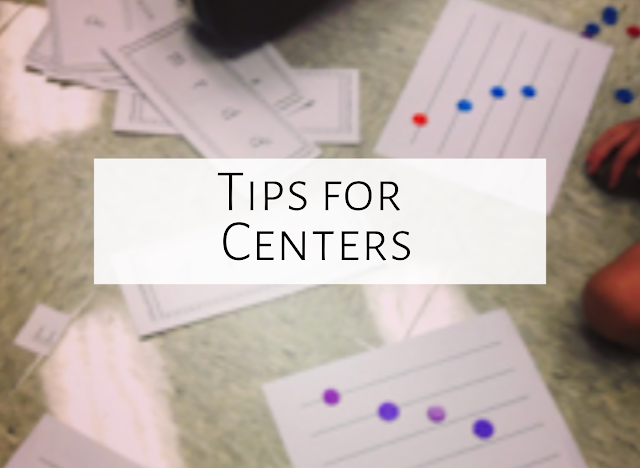 Spread centers out if possible, or just plan one center involving noise. Students will try to take advantage of the freer environment...so just make sure you are near anything that might be a problem! As I sat at the solfa manipulatives center, I realized how much I appreciated having a student teacher, as she was able to work with the students at instruments, trying to transfer their knowledge of solfa to the barred instruments and figure out the song "Tideo," knowing that mi is E.
She was so excited to see them transfer their knowledge--but she did have to guide some students more than others. Had I done a similar activity in a previous lesson, those students would maybe not have needed as much assistance, but I didn't...so I'm glad she was there! If you are anchored at one center, assessing students, think about how much students can work independently at the other centers. Here is Mason, figuring out how to play "Tideo." I had a few students who easily figured it out (including my own daughter) which was very exciting! Sometimes, when I group students for centers, I do it randomly. Other times, I look at their previous assessments and pair students by skill (with struggling students working with students who understand the material well.) The first time I did centers this week, I just had students grouped by last name (first 5 alphabetically at one center, second 5 at next center, etc.) but then some kids were disappointed (as they were the only girl in the group or the only boy in the group.) I tried something different in a later class, and then had students choose their own groups, with no more than 5 at one center (as I had 5 centers.) That seemed to work well, although there were a couple kids I had to watch closely. 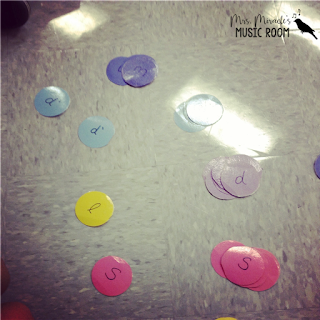 :) Think about how you want to group the students beforehand. If you want to provide intervention to specific students, then you will want to figure out the groups beforehand. Now that I have 50 minute classes, I decided to do 5 centers, and to lengthen the time to 6-7 minutes. Since I was anchored at one center, I decided to just let each rotation go until I was done assessing each group and had walked around a bit to check on all of the other centers. I loved having a longer class period so we didn't feel rushed! Think about how many centers you want, how much time you have, if you will be assessing, and if students will have too much or too little to do. I hope this has been helpful! What are your tips for centers? Feel free to comment below! Regarding grouping of students -- I'm going to try something this year. Each class is going to be divided into T's, E's, A's and M's. The T's will be my high students, E's medium, A's low, and M's behavior problems. The kids then get to pick there own teams -- but they need to spell the word team! If there are extra kids, make them E's and A's. This both separates the problem behaviors and the ability levels, but gives them a choice. I'm also thinking about when we pair up for an activity -- I think I'll call them trebles & basses -- they need to find an opposite. I haven't done this yet, but since I'm trying centers I really want to see if this will work! These are great Aileen! I totally agree with #4 - when I create my normal seating chart, my rows of 8 are split with an aisle. I try to make sure each group of 4 gets along/can work together. 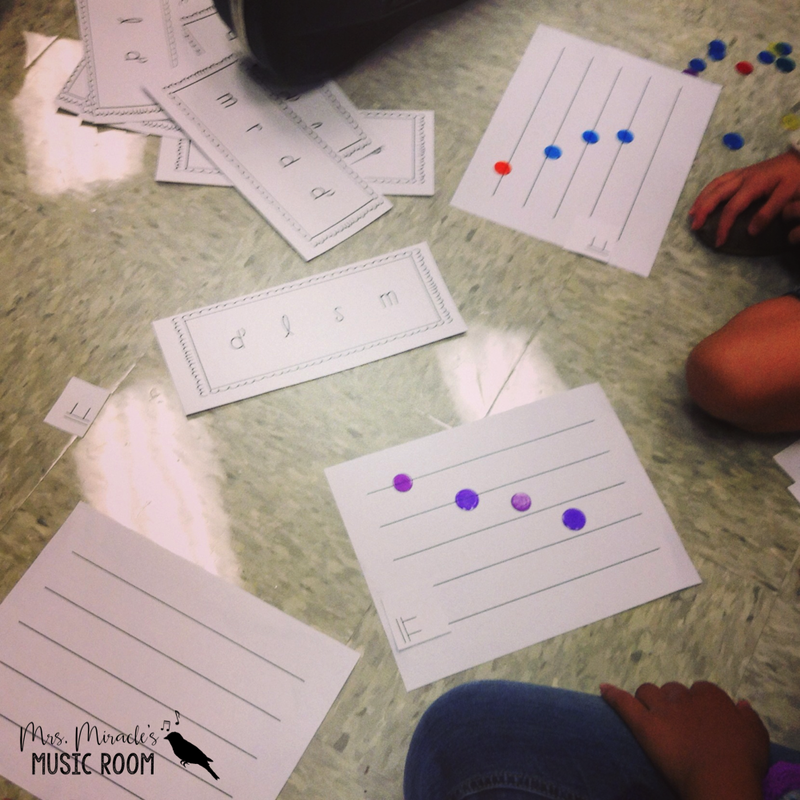 Then when I do centers, I use those groups of 4 (2 boys, 2 girls if I'm lucky!). Thank you so much for sharing your tips! Hi! Thank you for all these ideas! I was wondering.. are you doing music centers with every group, every time you see them? Excellent! I like to read that I am not completely at lost when it comes to centers. I locally have short mondays, so my students know that mondays are centers day. Every class gets a monday a month. Super convenient. 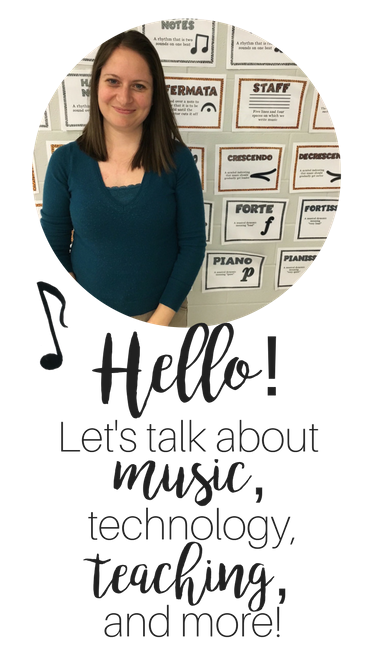 I have several centers where they have to practice music literacy, such as knowing the tempo markings, dynamics, music symbols. I have posters around the room that they can use for assistance. That way they are also reading. This allow me to plan one center where I can be an assess a rhythm, or melodic skill. 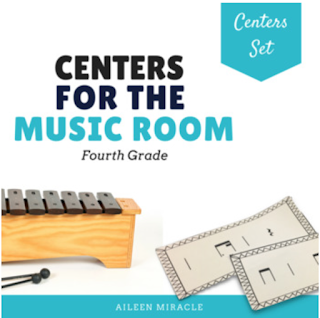 I LOVE CENTERS!